What’s a solo girl to do after the amazing experience in Saxapahaw? What could ever measure up to great food, an awesome friend, and a fantastic band? Spending the day (or morning and early afternoon, at least) tromping around Durham to see what it has to offer, of course! After spending a rather restless night on the couch, I shared a cup of coffee with A and then headed off to find some brunch at explore Durham (A had to go to work). For brunch I drove over to Guglhupf, a German bakery and cafe. I read good things about it on Yelp and through some other Tri-Cities blogs, so I figured it was worth a shot, especially if I could find a place to sit outside. Thankfully, I was in luck (and I even found parking right next to it, a miracle by some reviewers’ experiences). I settled outside with my latte (yes, a single shot latte plus half a cup of coffee earlier–this coffee-free girl was in for a caffeine high of incredible proportions. No, really, I felt drunk on energy. ), a pan au chocolat, and a book while I waited for my eggs benedict. 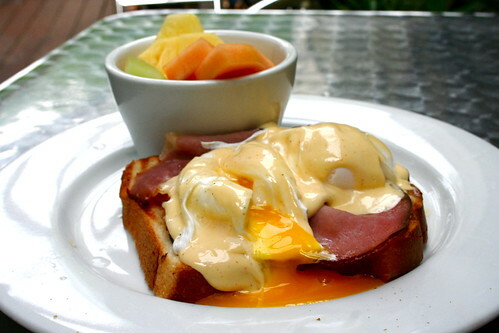 But I didn’t have to wait long–after ten minutes or so the eggs benny was served and I was left to sip coffee, eat, and people watch. 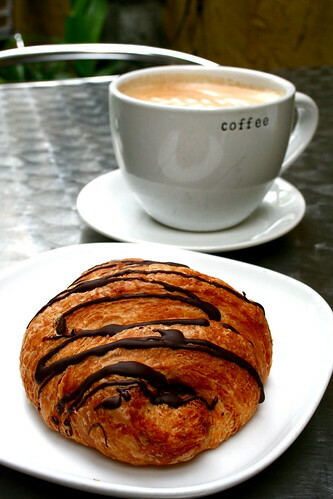 After Paris, I’m not sure why I ever thought I could order a chocolate croissant and thoroughly enjoy it. The croissant was good, actually, but I found it a little sweet, would have preferred to enjoy simply the buttery pastry and dark chocolate. But it wasn’t bad, don’t get me wrong. As far as the eggs benedict, it was good too, but not phenomenal. Served on toasted brioche, I missed the substantial forkful of an English muffin; the brioche seemed to melt beneath the runny egg yolk. The egg itself was poached beautifully and the side of fruit was a nice addition. And, overall, I left the place completely stuffed. So much easier when I travel with G or another friend–if I’m too full to finish something, someone else always can. Not the case this time. Alas, a delicious issue. After overeating, I hopped back in the car and drove a few miles downtown (I have no idea how the layout of Durham works, btw, so while I’m sure everything can be organized into neighborhoods and such, everything for me was based on having a car and a GPS) to the Durham Farmers’ Market. 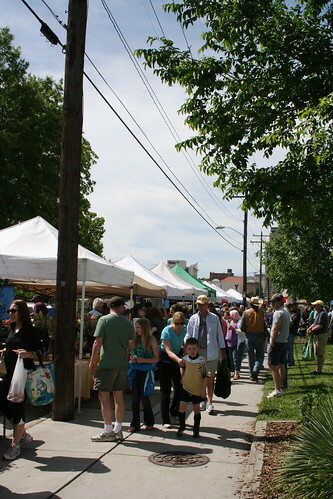 A had warned me that the Durham farmers’ market was kind of small and completely overcrowded, but when I arrived (around 10:30 or so) the market was pleasantly full, but not overcrowded (I could see how it could maybe get that way). Leading up to the market (the road was closed off which helped a lot), food trucks and various vendors lined the street. The market itself spilled out of its roofed structure and onto the sidewalk–there were more small farmer vendors than I’ve ever seen in one place. 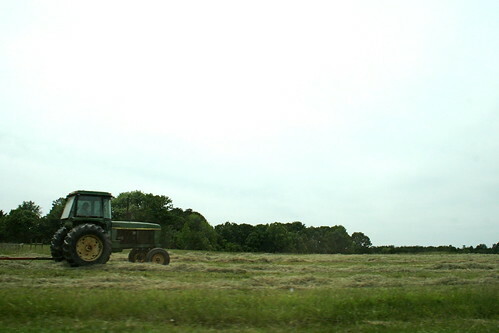 The Raleigh market is huge and on another scale–the vendors there are independent farms, but they’re on a bigger scale than many of the ones at Durham. 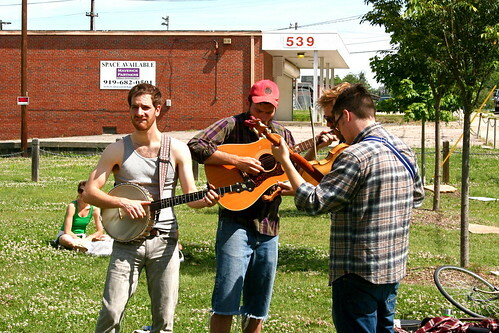 Durham is family farm feeling, musicians on every corner, flowers for sale, and so many happy babies and dogs. Vegetables and sweet shrub acquired, I put everything into the car and then headed over to the Sarah P. Duke Gardens at Duke University. I’m a sucker for botanical gardens and it’d been far too long since I’d walked around in any (I used to go to the Atlanta Botanical Garden any chance I had), so I was thrilled at the prospect of wandering around the expansive Duke gardens Plus it’s free! 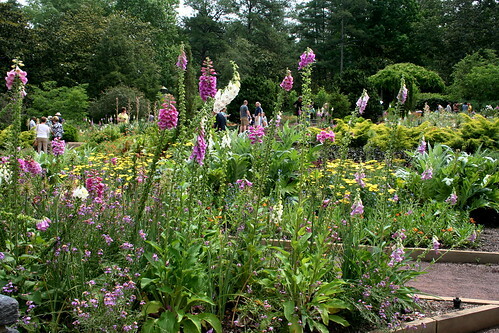 As far as gardens go, this one is huge–I spent several hours walking the paths and missed out on entire chunks of it. 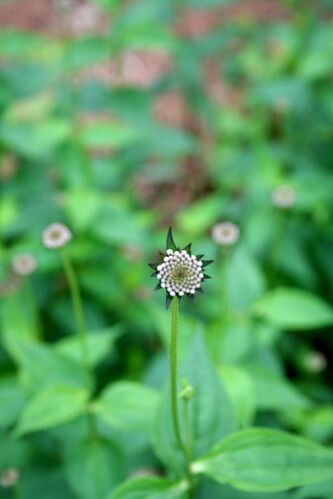 My favorite area, though, was the native plant garden–a trail system that wandered through forested areas, bogs, and field gardens, allowing visitors to see each biome present in North Carolina. 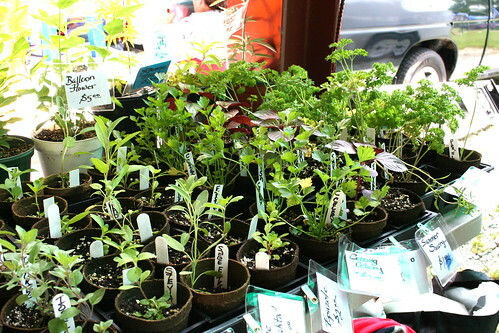 I have plans to plant at least one large garden at our house with all native plants–hence my search for a sweet shrub–so I napped what seemed like a million photos and took notes on the various species. 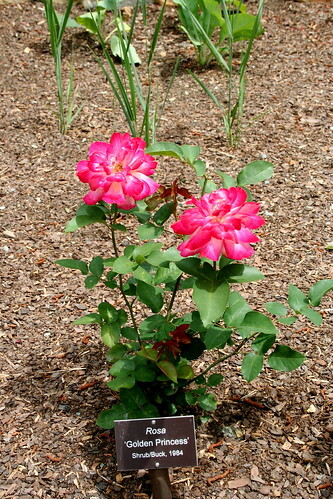 Plenty of flowers were planted to, and, at the entrance to the garden was a large fountain and rose garden. It seemed like the rose garden was a newer addition, most of the plants were smaller and young looking, but they were so fragrant and beautiful, it was hard not to stop and photograph a few. 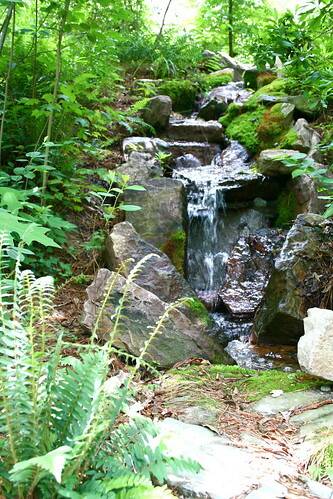 And, finally, the Culberson Asiatic Garden–a large subset of the main garden featuring Asian plants and garden pieces. 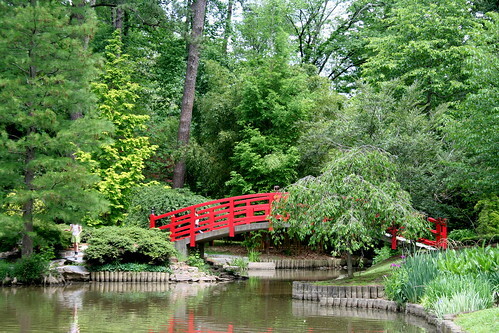 A red wooden bridge traversed the pond and allowed Duke graduates (I was there on graduation day) pose for pictures and plenty of azaleas were still in bloom. A large swarm of bees was in love with one tree I passed and standing beneath the leaves listening to drone of thousands of bees swirling around me was surreal. 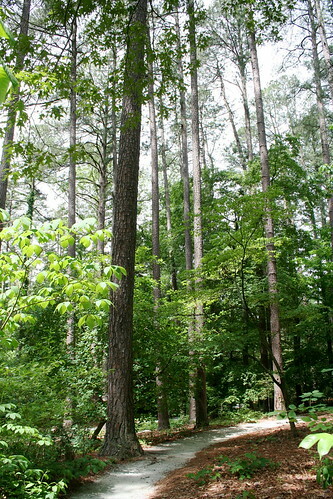 But, eventually, I needed to find some food (I know, I know, I just ate so much for breakfast) and hit the road, so I left the gardens in search of good North Carolina style BBQ. 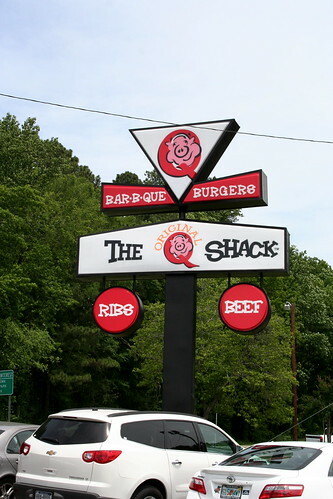 While it was tempting to drive over to Chapel Hill for The Pig, I decided to trust the internet and visit The Original Q Shack–a place that seemed beloved by native Durhamites. The restaurant offered a tantalizing array of meats for sandwiches and plates, but I fell back on the standard pulled pork with a side of beans and two additional jalapeno deviled eggs (hushpuppies some with every order). The pork itself was smokey and tender, perfect when topped with a little of their spicy BBQ sauce, and while the bread disintegrated under the weight of meat and slaw and juices, it was delicious to eat up with the beans. 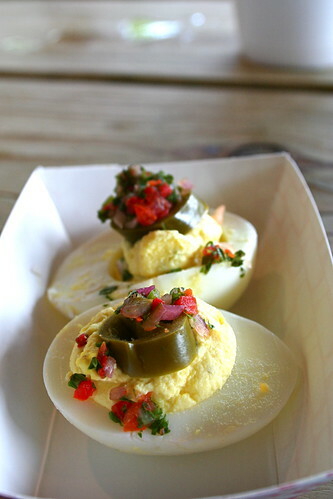 As far as the deviled eggs go, you can beat a pickled jalapeno-onion-something-else topper. Especially for $.35 each. Be sure to order some if you go. 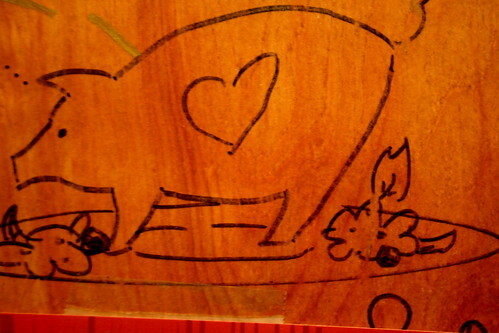 Even the bathroom art is fantastic, with pigs and love notes drawn on all wall and door surfaces. 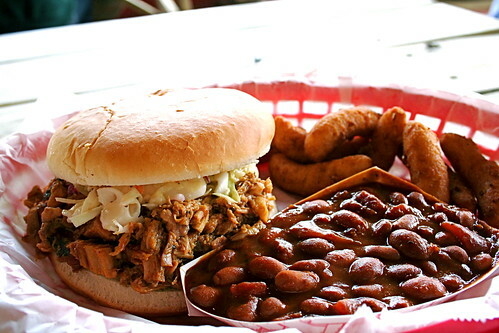 The Original Q Shack is a definite BBQ treat if you’re in Durham! Driving home, I was tuckered, but at least the roads are beyond scenic. I love living here surrounded by mountains and wouldn’t trade it for much, but being in the Piedmont region of North Carolina feels like homecoming. 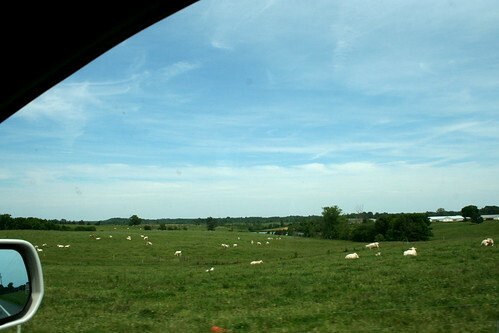 I know the trees, I understand the roll of the land, even the cows seem more familiar. I never knew how connected I felt the region I grew up in (the Georgia Piedmont), but the occasional drive down to Raleigh or Durham or Chapel Hill really bring the memories and emotions to the surface. North Carolina is a great state and, while I prefer to travel with G or with a friend, the chance to get out, drive by myself, and explore a town I’d never been in before was exactly what I needed. It felt like I really took life by the horns and yelled “hey, I’m gonna live a little!” So, G, don’t worry, I’ll take you next time, but I’m damn pleased I decided to go catch the Archers of Loaf show without you. I was stressed, but it worked out to be a lot fun. what a fun time! 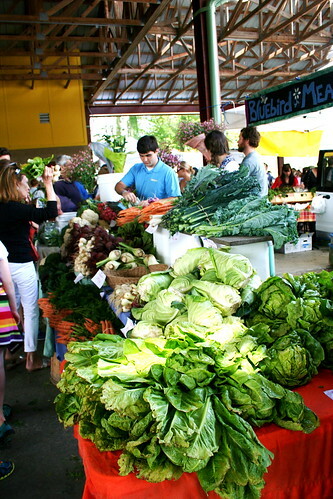 that farmer’s market looks incredible! thanks for sharing! Sounds like an amazing time! Did you know gugelhupf means bundt cake in German? Yes! 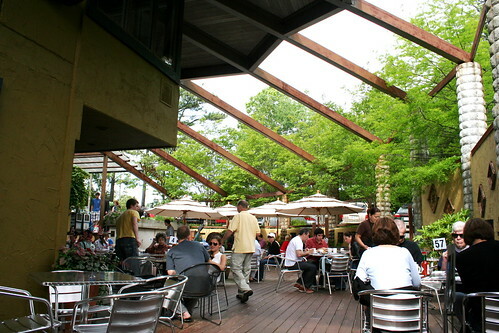 My little brother lives in Raleigh–so now I have a much longer list of things to do and places to see–er, eat–the next time we get up there. I really enjoyed reading about your North Carolina adventure, Jes. You were in my old stomping grounds there. 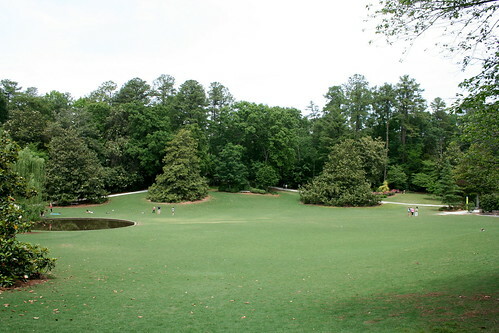 I first laid eyes on my husband in Durham, and I spent many, many happy hours wandering about Duke Gardens. It’s a very special place to me—for many reasons. Sounds like a lovely day! I like going on little adventures to have some time to myself. And I totally understand the caffeine thing. I switched from coffee to green tea a few years ago and now whenever I DO have coffee, it’s insane – I get SO hyper!